Fun and floaty, the Hyperlite Girls Youth Indy CGA Vest is a personal floatation device that they won't mind wearing. That's because the buoyancy comes from segmented foam panels, which drain quickly for improved comfort out of the water, and are shaped to provide the most freedom of movement possible. The two 1.5" straps make it easy to ensure a snug fit, but they also avoid snagging by running inside the fabric of the vest. "I'm trying to purchase a life vest for my daughter she is 91 lbs. Your size chart reads youth 50-90 child 23-41 infant Up to 30. So which would be appropriate for my daughter. " "Thank you for your inquiry. 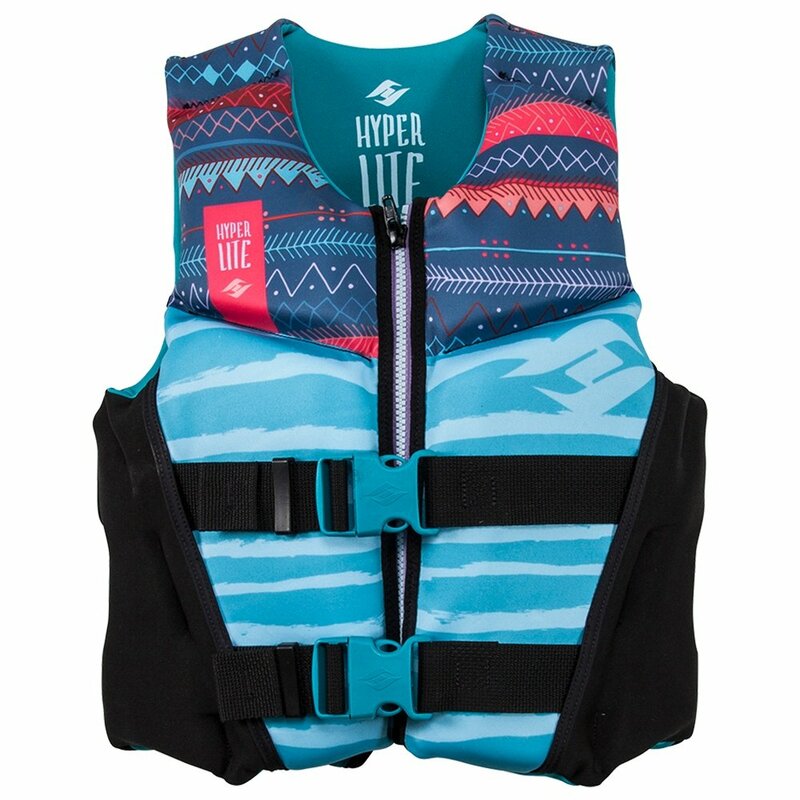 The Hyperlite Indy Neoprene Life Vest (Youth Girls') comes in 2 sizes, 50/75 pounds and 65/90 pounds. We hope this information helps! " I would highly recommend this product. Made well.